There is nobody for whom salvation was so “intense” as it was for Mary. She was the chosen instrument through whom the “Word became flesh” (Jn 1:14). Jesus, the Son of God, was also the Son of Mary, and it was from her that Jesus was born and whom he most resembled. Salvation occurred in her (Lk 1:31), through her (Jn 2:5), and with her (Jn 19:25). She was Jesus’ closest and most intimate disciple. 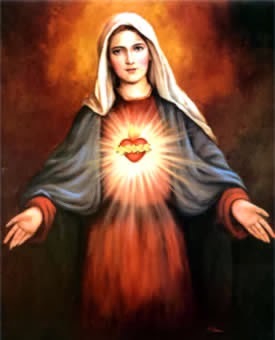 Yet Mary, fully human and not divine, was not given a manual to read that explained exactly how salvation would occur, nor was she given the gift of understanding perfectly the mind and action of God. How then did Mary respond to the events of salvation to which she was so close? She “kept all these things, pondering them in her heart” (Lk 2:19). Her life only made sense through a deep pondering of the mysteries of salvation. Hence, in order to live, to grow, and to understand, Our Lady developed a contemplative gaze upon God and His mysterious ways. This contemplative gaze—which has as its foundation silence, trust, and abandonment—does not primarily seek understanding in a purely human fashion but allows the mystery of God space to grow and mature in one’s heart through faith. Without a contemplative gaze upon God, Mary’s life and our life become a series of confusing moments lacking unity and purpose. It is this deep listening, this pondering of the mysteries of salvation that enables faith to grow into something much deeper and more beautiful than simply human understanding. + Fr. Jeremiah Myriam Shryock, C.F.R.